Minor Details Started in 1995 as a mobile SMART (Small to Medium Repair Techniques), body repair business and built up a good reputation servicing dealerships in Herts, Beds and Essex. Located on the prestigious Arlington Business Park in Stevenage, just off junction 7 on the A1M and close to Stevenage town centre where there is, for those customers who wish to leave their car and commute into work, a main line fast train service into London. 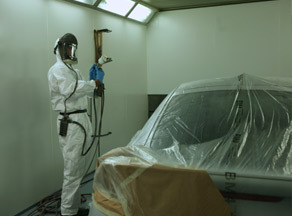 Our SMART repair centre is fitted with a new spray booth with a low bake oven and a paint mixing room allowing us to give our customers a finish equal to the standard of any bodyshop. We can also take on any non structural type of repair. 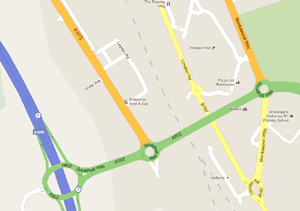 We service many local dealerships including Mercedes, BMW, Vauxhall and Alfa. 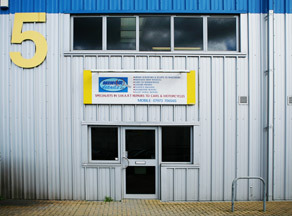 First class repair centre based on the Arlington Business Park, Stevenage allows us to service and repair your vehicle at a time that suits you. Although we specialise in SMART repairs, because we have spraybooth and a low bake oven we are able to carryout larger repairs as long as they are non structural.